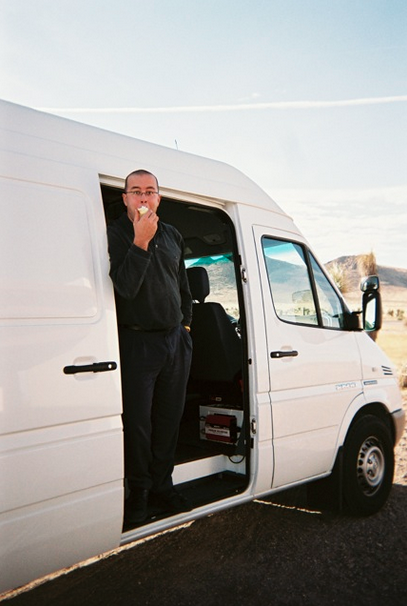 – How Randall built his career starting as a singer songwriter living and traveling in his DIY vegetable-fueled van, to a music merchandise selling machine with several revenue streams. – The biggest surprise: how Randall got everything he dreamed of and why he ultimately changed direction. Thanks to the Electric Violin Shop for being great at what they do and also for sponsoring our effort. We’d also like to thank the Greater Columbus Arts Council and the City of Columbus for their support. The conversion cost about three grand, and I did it alongside a team of mechanics in Denver, Go Green Early. 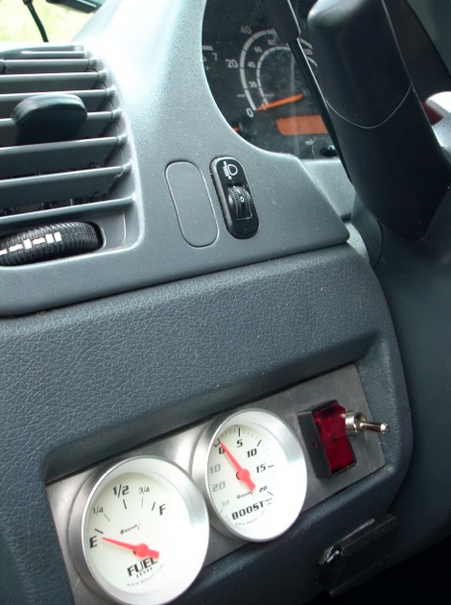 The van is a 2006 Dodge Sprinter. Later-model Sprinters won’t let you convert to veggie because the engine computers register a malfunction if the exhaust isn’t pure diesel and they shut the van down. This conversion is a secondary (heated) fuel tank and a set of switches between them. It’s a WVO (Waste Veggie Oil) system, so I pump right from a grease dumpster into the veggie fuel tank, going through three filters, then there are four more before the fuel gets to the engine. As far as I can tell, I get about the same mileage on veggie as I do on diesel. Yes, it smells like french fries, and yes, it’s free. With a veggie oil system, you can’t leave the veggie oil in the engine when you shut down, so you need to start on diesel, then switch tanks, then you need to switch back over to diesel about five minutes before shutting down, to make sure all the veggie oil is out of the engine. It’s very cool. I did once have an incident where I didn’t pre-filter the oil – it caused all five of my injectors and my high-pressure pump to fail, to the tune of five grand in repairs, and ten days in a rental car touring New Jersey. Despite that, I’m not deterred – figuring out how to get off of fossil fuels is worth the risk. And the conversion and injector replacement are covered by the fuel savings, anyway. This is a picture from the van’s first trip – I picked up two guys on Craigslist and we drove non-stop Dallas to LA in 30 hours. Fuel stitch: The two switches are for veggie fuel send and veggie fuel return. Diesel engines don’t burn all the fuel they get, so they send it back to the tank. With a veggie system, you can’t just switch tanks, because you don’t want veggie oil returning to the diesel tank – so you switch fuel sources first, and let diesel return to the veggie tank for a bit to keep the diesel tank clean. Bowed string player looking for tools to unleash your creativity? Visit our friends at the Electric Violin Shop. -your one-stop shop for electric instruments, amps, gear & accessories, and most of all, expertise. Use code CHOWES at checkout and take 5% off of your order.